The Board of Representatives will vote next month on hiring a company to identify cars belonging to Stamford residents that are not on city tax rolls. STAMFORD — It’s about fairness. But officials are poised to sign an agreement with a company that will use cameras, GPS tracking, license-plate readers, Connecticut and New York motor vehicle records, city databases and other information to identify residents who don’t pay their car taxes. Beyond that, residents may be able to report vehicles that have out-of-state plates but live in Stamford. It’s not clear how many evaders are out there, but officials estimate that, if they’re found, the city will add $1 million a year in tax revenue, and perhaps a lot more. Taxpayers are enthusiastic for the program, said city Rep. Robert Roqueta, a Democrat representing the East Side’s District 4. In January, Roqueta proposed that the city hire a car-tax collection company. To raise revenue, the Board of Representatives is considering proposals from Mayor David Martin to increase fees for parking, building permits, dumping and other services, “yet we allow people to cheat and don’t try to find a way to get the money back,” Roqueta said. The Board of Finance has unanimously approved a contract with a Shelton company, Municipal Tax Services. The Board of Representatives’ Fiscal Committee passed it 8-0 with one abstention. The full board is set to vote on it Jan. 7. Taxpayer Lawrence Winchell said the effort should include a way for residents to report suspected evaders. Call it a neighborhood watch, or “see something, say something,” he said. He’s concerned, though, that the company can gather information only on vehicles in the public eye. City Rep. J.R. McMullen, R-18, asked about that during the Dec. 17 Fiscal Committee meeting. “Won’t it adversely affect neighborhoods where cars are parked on the street?” McMullen asked Tax Assessor Gregory Stackpole, who is presenting the contract to the boards. 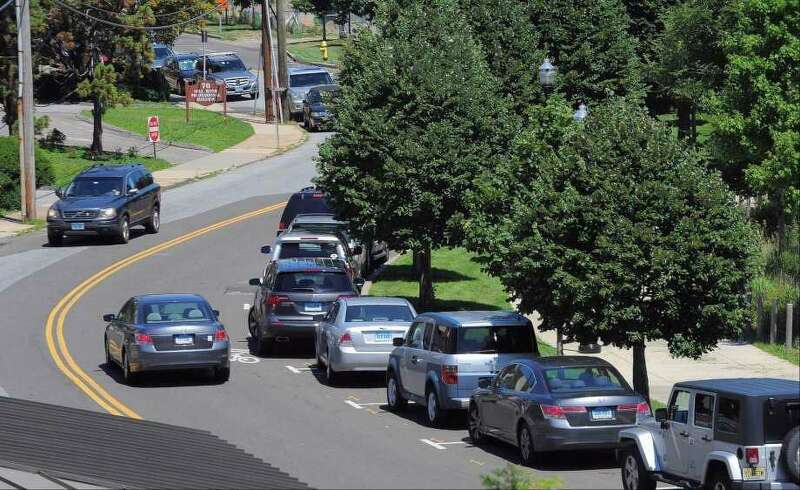 More tax evaders will be identified in neighborhoods “where cars are visible,” Stackpole said. But the city’s online tax assessment database already makes a lot of information public. Allowing resident reporting will boost chances that garaged cars are identified, Roqueta said. The company offers a form on its website, he said. A check of www.municipaltaxservices.com shows a “report violator” button that leads to a form that may be filled out anonymously. It asks for the name and address of the owner, and the plate number, year, make, model and color of the vehicle. It also asks for an estimate of how long the vehicle has been at the address. City Rep. Eric Morson, D-13, an early backer of Roqueta’s proposal, said he’s still weighing the notion of residents reporting on each other. But city Rep. Jonathan Jacobson, D-12, said he doesn’t see that. Officials said they may consider a reporting hotline on the city’s website. Anyone who used it would not be “ratting on their neighbor,” Roqueta said. Some people who move from New York, New Jersey, Florida or Vermont do not change their registration because cars are not taxed in those states. Others register them in towns that charge less tax than Stamford. Many may not know that if they move to Stamford from out of state, they have 60 days to register their car here. If they move within Connecticut, they have 48 hours to notify the DMV. Stackpole said he thinks 3,000 to 4,000 vehicles could be added to the tax rolls. If the contract gets final approval, Municipal Tax Services would begin work in January. It would take six months for the company to gather the information so he can decide which vehicles belong on the tax rolls, Stackpole said. Suspected violators will have a chance to appeal. The contract does not come with a cost. The company keeps half the revenue collected on new tax accounts that result from its investigation, plus a $50 fee from each violator. Morson said exceptions likely will be made for people who drive a company car and have no say in where it’s registered. People who live in Florida for half the year likely would have the tax pro-rated, he said.